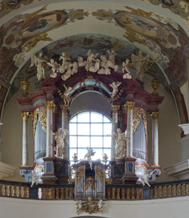 It is not “merely” the supreme mastery of the compositional techniques that marks the quality of Johann Sebastian Bach, this “giant of a musician’s” output, but also its spiritual depth, its intrinsic order, and its intimate musical message. 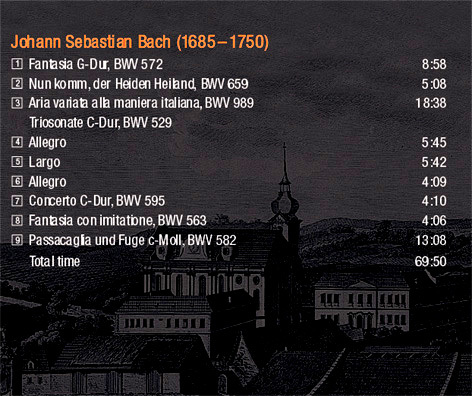 The fact that Bach rightfully belongs among the greatest, unforgettable creative geniuses is proved by his incredibly extensive output as well as by the hundreds of sold-out Bach festivals and countless concerts of his music. Besides, his own comment that anyone might be as good as he, supposing that one should work as much and as hard as he does, indicates his sincere modesty - as if he was not even aware of his exceptional talent, without which one would simply not be able to cope with such an amount of work. All these reflections led me to the decision to conceive my third compact disc as a kind of a musical profile encompassing several of Bach’s various means of expression in his compositions. Some of these might be original works, others inspired by already existing music, still others intended as instructive pieces; all of them, however, bear the unmistakable signs of the author’s genius. On the occasion of Bach’s 325th birth anniversary, then, an imaginary child has been brought to life – the CD The Genius Johann Sebastian Bach.